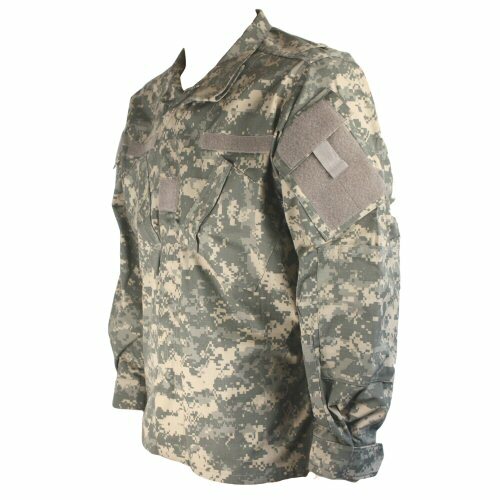 The Bulle MIL-C-3924J US Army Combat Uniform ACU shirt is made of genuine issue MIL-C-3924J quarpel treated American cloth to the same pattern as the standard US Army ACU cut. The cloth is is wrinkle resistant, machine washable, and colour fast. Quarpel treatment is a water repellent finish which is especially developed for military use. 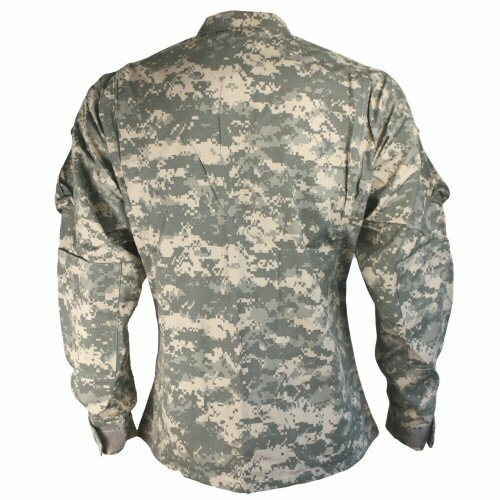 The ACU shirt was developed with direct input from US Army soldiers for comfort and ease of use under battlefield conditions. 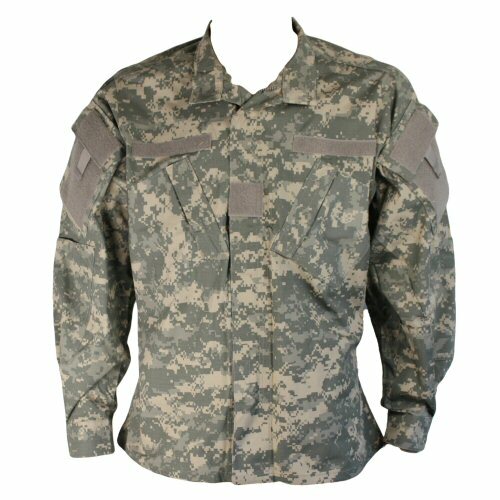 The Bulle ACU NYCO shirt has all of the following features: Mandarin collar which can be worn open or closed, double chunky zip front with velcro down flap, slanted arm pockets on each arm with velcro panel for attachment of patches, slanted chest pockets, elbow patch reinforcements on each arm which open with velcro for padding, pen pocket for two pens on lower right arm. 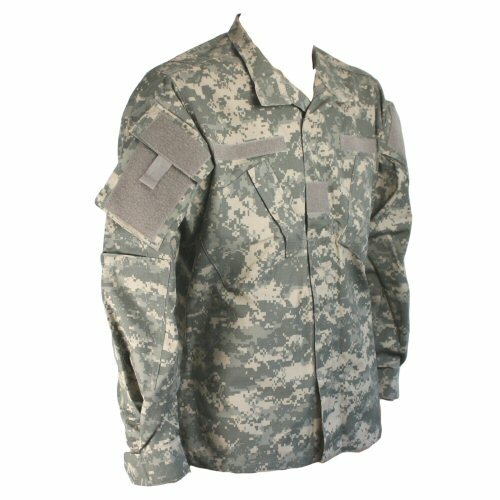 Velcro is provided on chest for name tapes and rank patches. Shirt tail length ends at approximately same length as the arms, same as the original issue ACU uniforms. This is to reduce the amount of extra material which hangs over the belt preventing easy access to trouser pockets and belt pouches when bulky armour is worn over the top. The upper back of the shirt is has bellows expansion for the upper body, again for ease of movement whilst wearing body armour. The cuffs close with velcro, and a long length is provided to allow for a wide range of adjustment. The seams are all double stitched for durability. 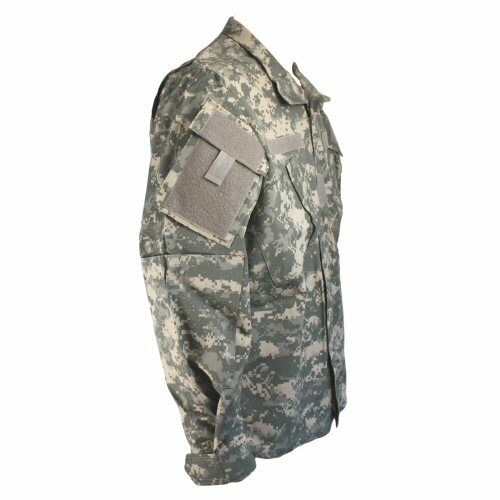 All details of the issue ACU shirt are included, with the exception of the IR patch in the arm pockets which is a government issue item only. The uniform IR signature is low when tested under low light, IR enhanced conditions. Sizes which are available are: Small (up to 36 inch chest), Medium (up to 39 inch chest), Large (up to 42 inch chest), XLarge (up to 45 inch chest), XXLarge (up to 48 inch chest). The left side of the shirt. The lower arm has a pen pocket for quick access. The back of the shirt. The upper back has pleats to allow for additional movement. Right side of the shirt. The elbow patches can open with velcro for insertion of pads. Right angled view of the shirt.